Reading and share top 4 famous quotes and sayings about Psalms Life by famous authors and people. Browse top 4 famous quotes and sayings about Psalms Life by most favorite authors. 2. 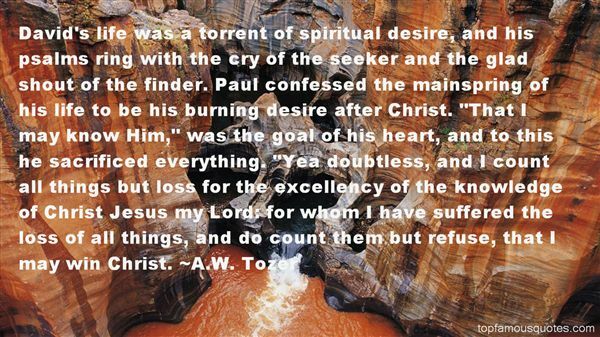 "If we think we will have joy only by praying and singing psalms, we will be disillusioned. But if we fill our lives with simple good things and constantly thank God for them, we will be joyful, that is, full of joy. And what about our problems? When we determine to dwell on the good and excellent things in life, we will be so full of those things that they will tend to swallow our problems." 3. 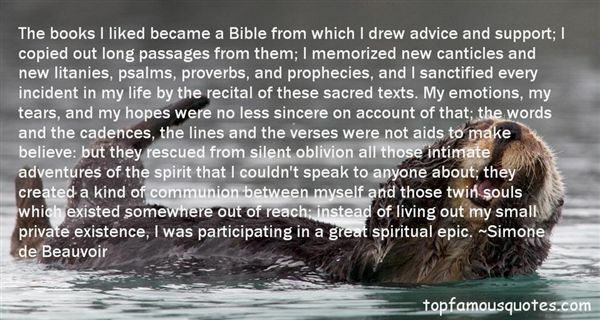 "The books I liked became a Bible from which I drew advice and support; I copied out long passages from them; I memorized new canticles and new litanies, psalms, proverbs, and prophecies, and I sanctified every incident in my life by the recital of these sacred texts. My emotions, my tears, and my hopes were no less sincere on account of that; the words and the cadences, the lines and the verses were not aids to make believe: but they rescued from silent oblivion all those intimate adventures of the spirit that I couldn't speak to anyone about; they created a kind of communion between myself and those twin souls which existed somewhere out of reach; instead of living out my small private existence, I was participating in a great spiritual epic." 4. 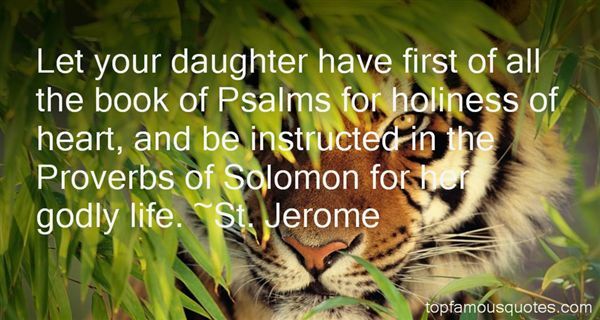 "Let your daughter have first of all the book of Psalms for holiness of heart, and be instructed in the Proverbs of Solomon for her godly life."